Chevrolet Repair in Orlando | C & G Auto Center Inc. Looking for that perfect auto repair shop in the Orlando, Davenport, and Winter Park area to service your Chevrolet? At C & G Auto Center, our auto mechanics are the go-to auto repair shop for all your Chevrolet service needs! Our auto technicians want to tune up, service, and give your Chevrolet exceptional service so it continues to run like it should. Whether you have an old-school Corvette, a modern truck, a sedan, or an SUV, our auto repair specialists are familiar with your Chevrolet. At C & G Auto Center, our technicians stay up-to-date on the latest and greatest automotive technology so you can have peace of mind when you drop off your Chevy for service. So if your car is sputtering when it tries to start or there’s a strange noise (not the kind of noise from your kid playing that video game in the backseat! ), bring it in for service. 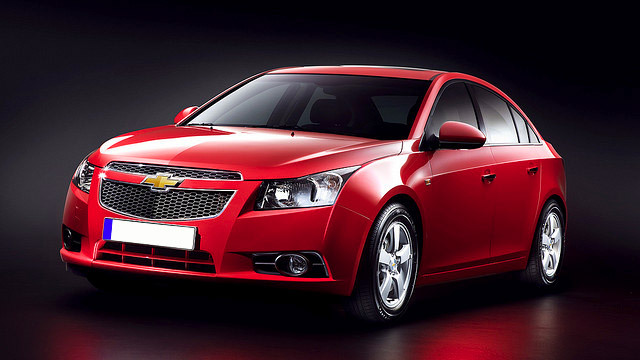 At C & G Auto Center, we’ve been around cars for many years and have seen lots of Chevrolets. We have twelve bays, four technicians, and two service advisors. If you’re here in the Orlando, Davenport, and Winter Park area as a tourist, we’ll give you a reasonable rate, plus a nationwide warranty of 24 months / 24K-miles. We will shuttle you to the amusement park while your vehicle is getting some TLC! We also have a special deal with a towing company, and we can deliver the car for you, so you can spend your day with your family instead of sitting around! “My “go to” mechanics. Repaired the ABS/Traction system on my car. Diligent finding the issue and fixing it. Thank you so much for your honest and fair business! Cheers to 2018!” -- Lisa C.
If you’ve been looking for Chevrolet maintenance, give us a call immediately! We’d love to give you and your Chevrolet the special touch that you deserve. Our auto technicians are not just friendly. They are technically savvy as well as committed to your safety. Schedule an appointment today, or stop by. C & G Auto Center is located at 4155 W. Oak Ridge Rd., Orlando FL.